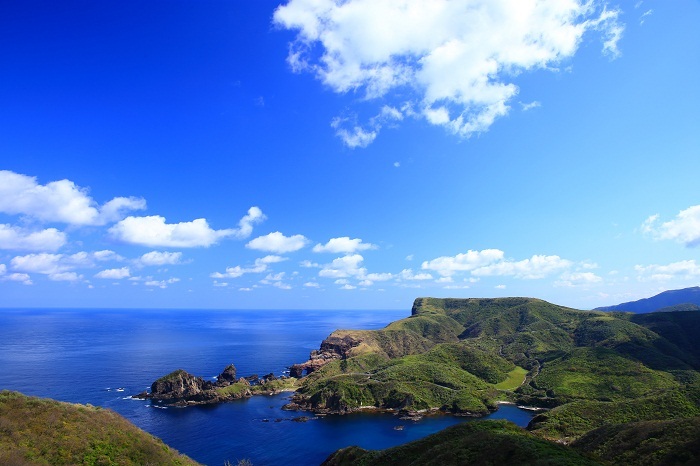 This is the most well-known sightseeing area of the Oki Islands. Cattle graze along the impressive rocky cliff coastline. Visitors can enjoy sea kayaking, diving, snorkeling and swimming here in the summer months. Hiking along the coast is also very popular. The view from the top of this 257m high cliff is breathtaking. Volcanic eruptions and subsequent erosion have created this impressive landscape. 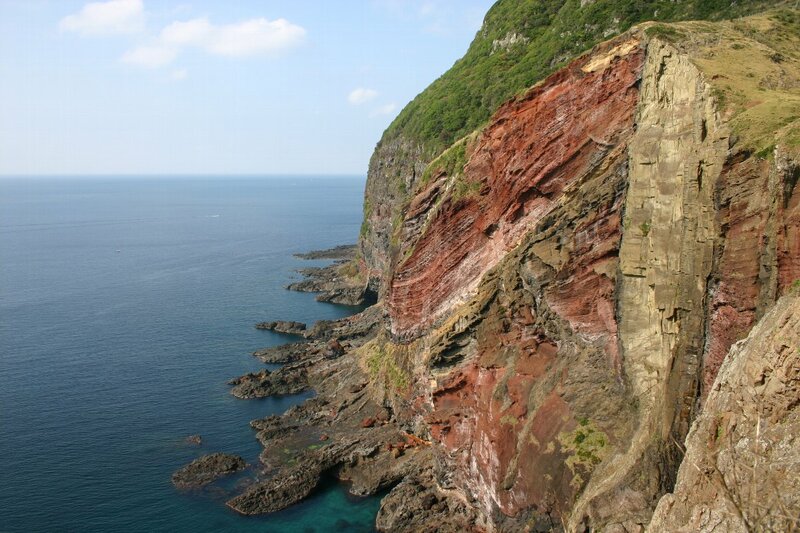 The hiking track to the bottom is one of the most popular walks in the Oki Islands. This amazing rock arch has been created by the power of nature. 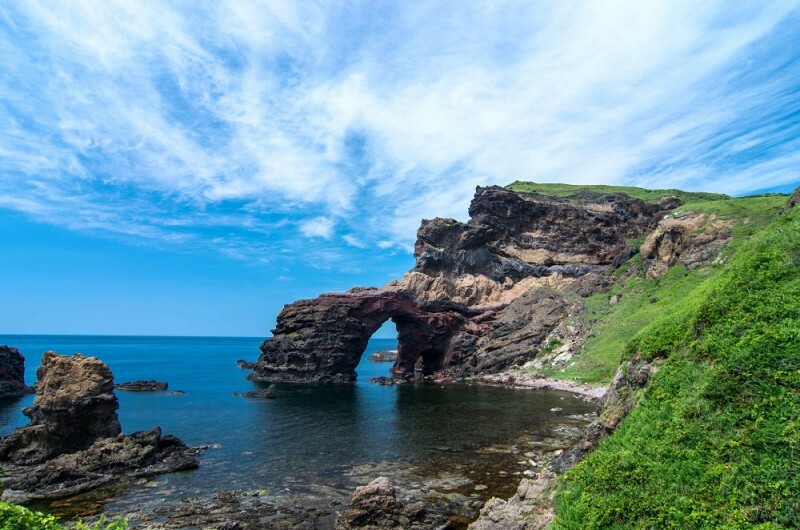 Enjoy walking around the coast here, taking photos of the amazing arch and surrounding unusually-shaped rocks and islands. You can have a picnic here under the gazebo, or swim at the beach nearby. This strangely-shaped rock looks like a Buddhist deity (kannon). When the sun sets over the rock, it looks like a candle. This is a great place to enjoy impressive sunsets. This unusually shaped rock is a great place to watch boats and ferries go by, and to enjoy the morning sunshine. This impressive farmland area is located on the south-side of Kuniga Bay. It is a great place to take photos, enjoy a picnic or read a book. The view across the Kuniga Coast is breathtaking. >>Watch these dynamic view from the sea! This rock is a sea stack that uncannily resembles a candle. 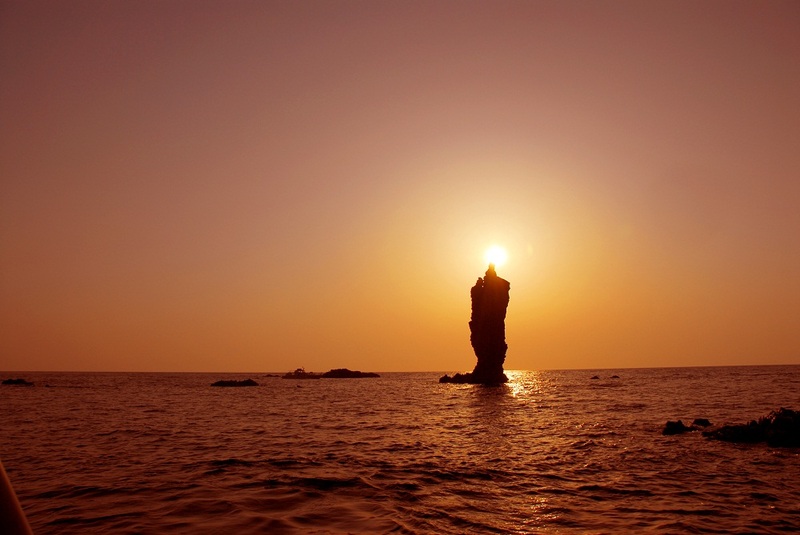 You can see the incredible sight of the candle ‘lit up’ by the setting sun if you take one of the sightseeing boats that leave from Fukuura Beach. If you want to take the cruise make sure to book in advance at the Okinoshima Town Tourism Association. Otherwise, you can enjoy a pretty view of the Candle Island from above in the Ojirobana Park, and for a closer look take the nature trail down to the coast. >>Watch Candle Island from the sea! The bright blue sea and green pine trees contrast beautifully with the stark white rock of this rugged coastline. You can enjoy the view from the lookout, or take the sightseeing boat from Nakamura Beach and get up close to the many interesting-shaped rocks on the coast, such as a rock that looks look an elephant. 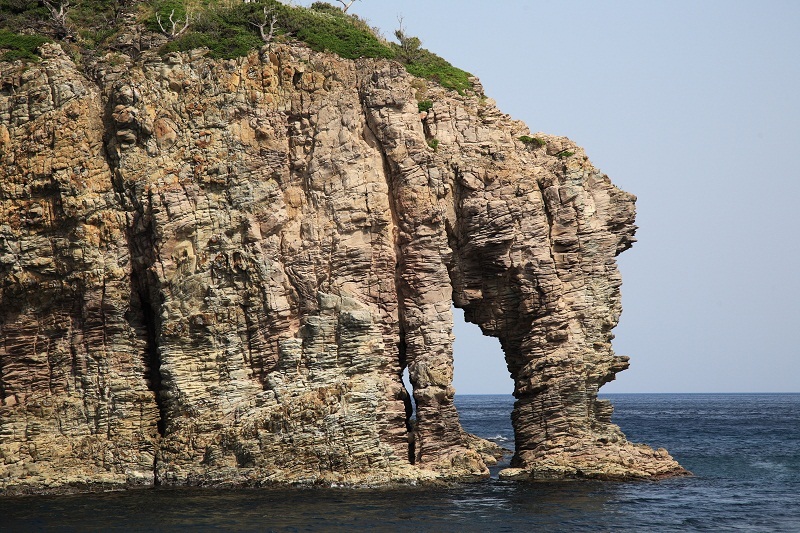 This rock on the Shirashima Coast looks just like an elephant leaning into the water for a drink. 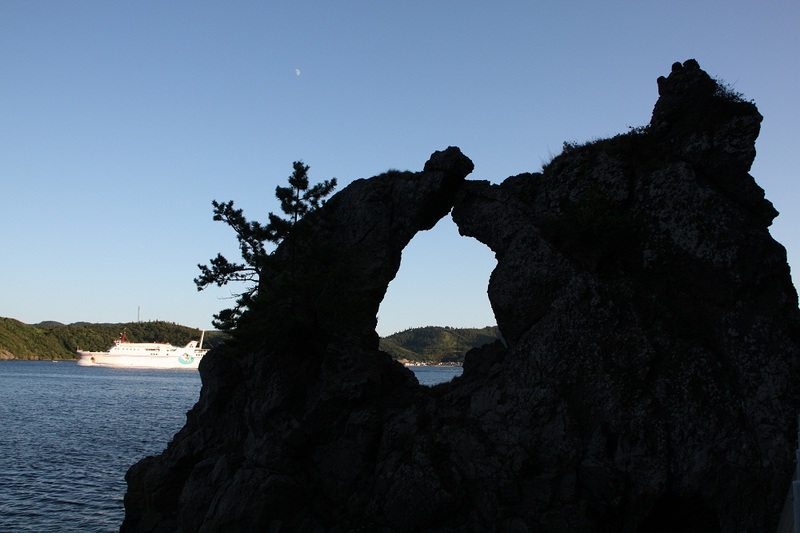 It can be seen on the Shirashima Sightseeing Boat Course. Yoroi-iwa is an impressive rock located at the tip of Noritabana Coast. 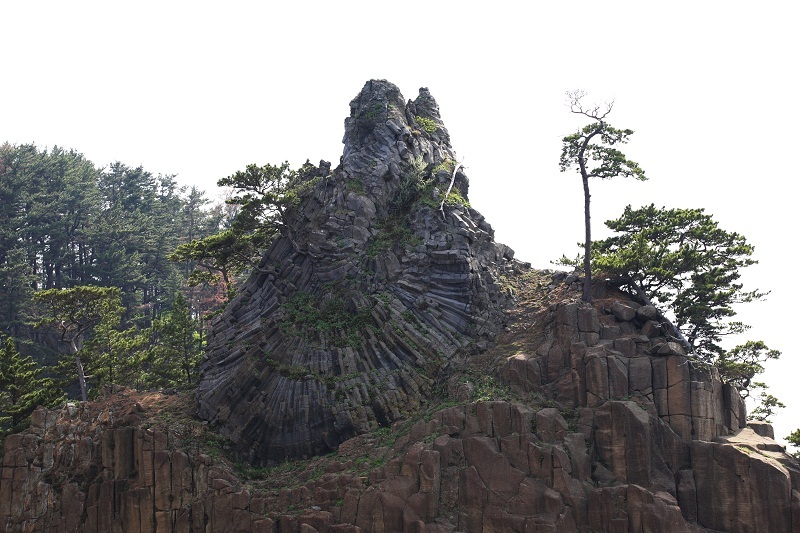 It is formed by basalt columnar joints. The rock gets its name from a legend that a fallen warriors armor turned to stone here. The Noritabana Coast walking trail leads to the rock from the car park on the coast. It takes around 30 minutes one-way. 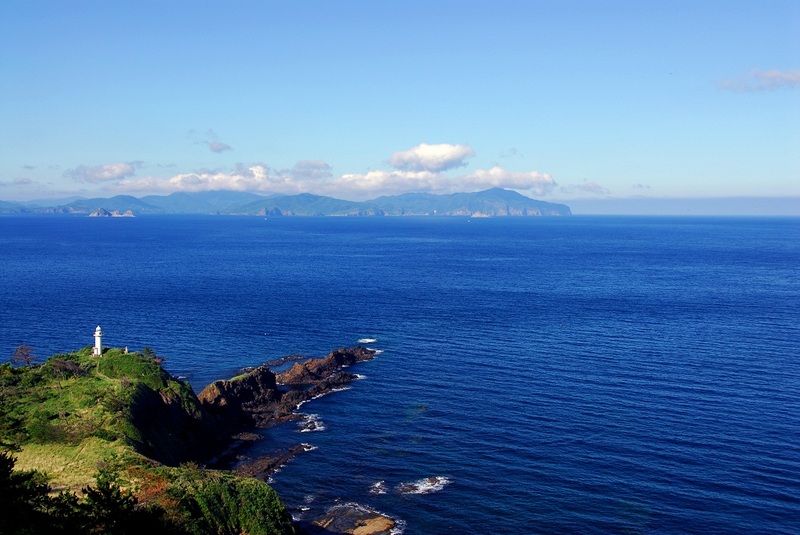 This lookout is located at the southernmost tip of Dōgo Island. 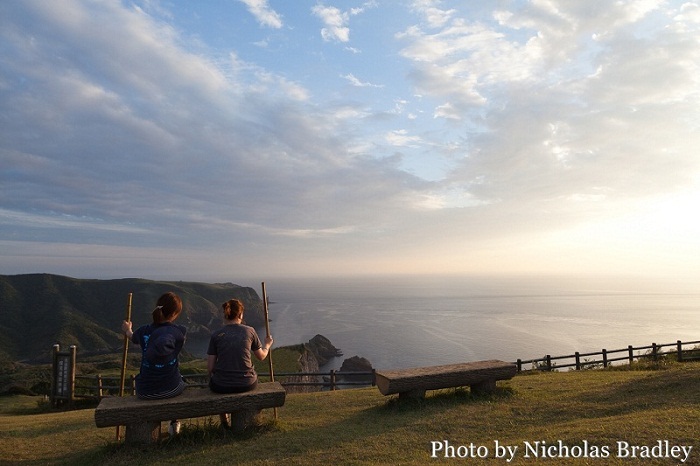 It is a popular spot for enjoying the sunset and the fantastic view of the Dōzen Islands which lie only 12km away. There is a trail from the lookout down to the lighthouse on the tip of the cape where cows graze in an open field. By the sea here you can see a number of tunnels dug into the soft pyroclastic rock of the cliff. 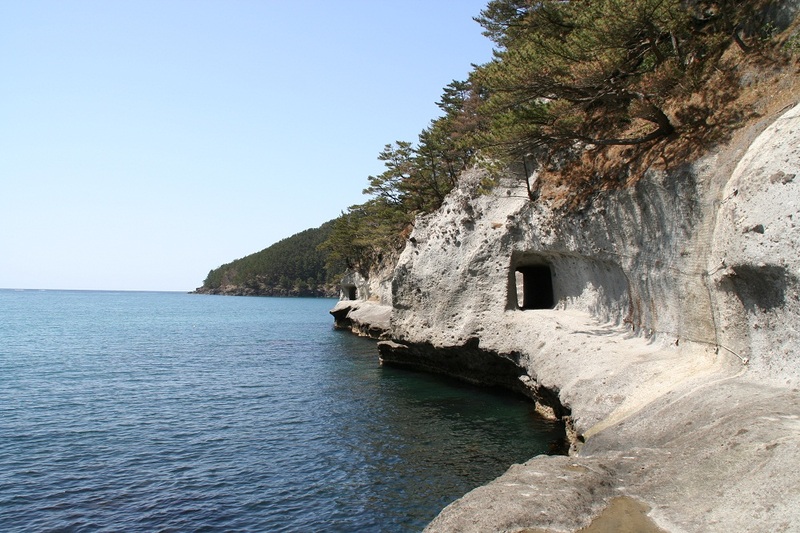 This is a unique place where you can observe pyroclastic sediments and enjoy walking through hand-dug tunnels beside the sea. The tunnels were dug and improved at different times throughout history allowing visitors to observe the development of transport and civil engineering technology over time. 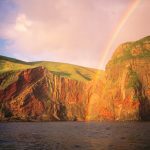 The red-brown precipice will change in appearance over the course of the day.The view at sunset is particularly breath-taking. It has the best all-around view of the Oki islands,including Mount Daisen,and the Shimane Penninsula.In the spring,flowers called “Nodaikon”bloom,and the medadow around the mountain’s peak will be blanketed in pink. a This mountaintop has the best all-around view of the Oki Islands, including Mount Daisen and the Shimane Peninsula. In the spring, pink-purple No-daikon (wild Japanese radish) flowers cover the surrounding farmland. The islands are truly a place to get away and enjoy nature. Incredibly peaceful walks in deep forests, or along dramatic coastlines the islands are what many tourists love about the Oki Islands. 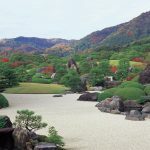 The plant-life on the islands is of continual interest as climate and isolation from the mainland Japan has fostered unique combinations of warm-temperate and cool-temperate species. 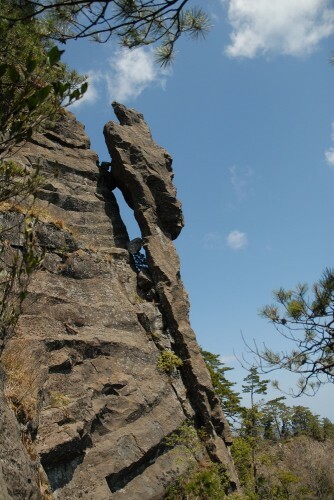 There are a number of trails leading to incredible rock formations. 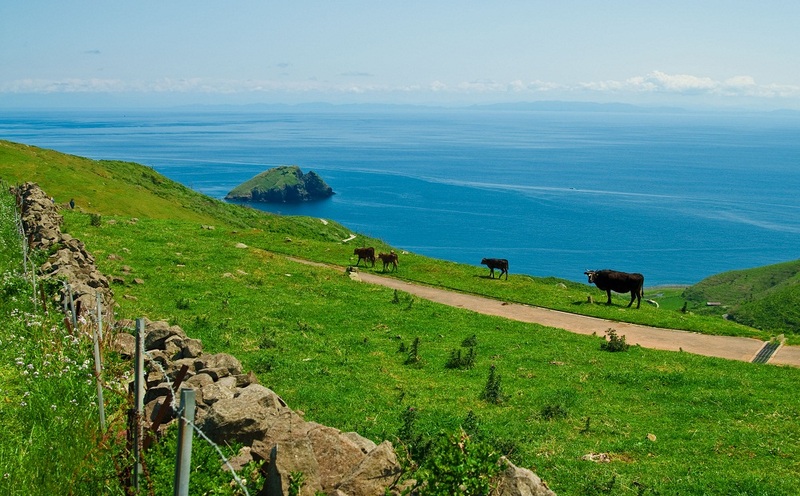 You can see cows and horses grazing in farmland around the Oki Islands. 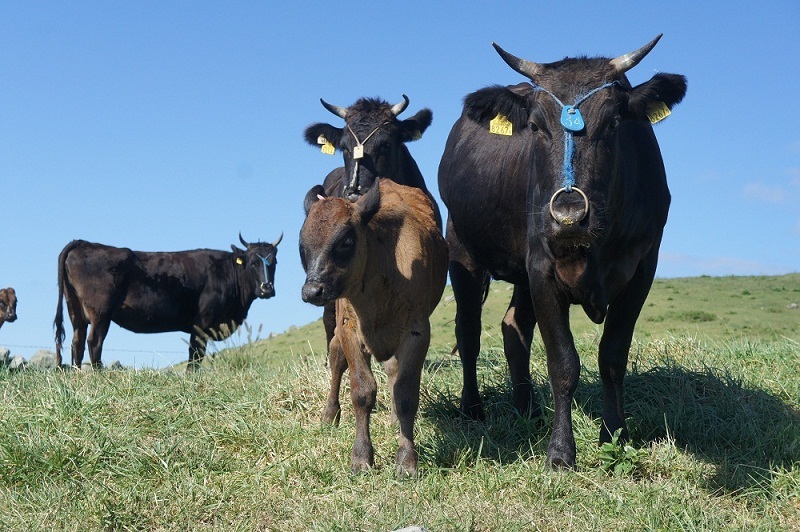 The best place to see animals together is along the Kuniga Coast (Matengai Cliff, Akao Lookout) or Onimai Lookout in Nishinoshima. If you want to see cows (more cows than people) then visit Chiburijima Island. 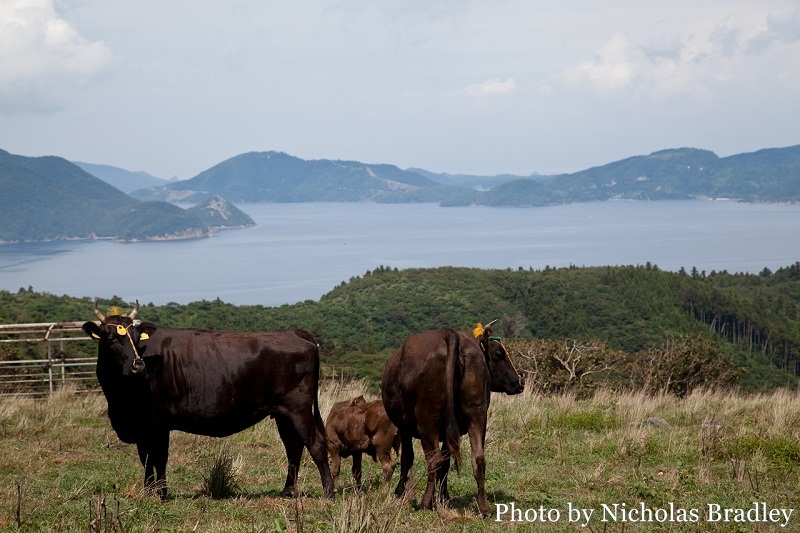 Nakanoshima Island has grazing cattle and Dogo Island is home to the famous Oki Bull Sumo cows. 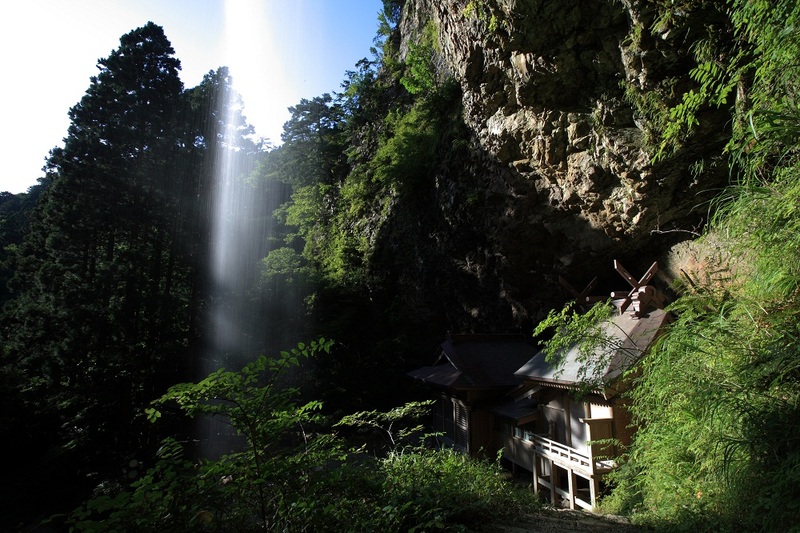 This tranquil waterfall is located deep in the forest in Tsuma, on the west coast of the island. It is not only a fantastic place to enjoy serene nature; you can also drink spring water that has been designated one of the Top 100 Exquisite and Well-Conserved Waters of Japan by the Ministry of the Environment. This waterfall is also the location of Dangyō Shrine, and the water here has been revered as sacred ‘winning water’ since long ago. Even today before traditional competitions such as Bull Sumō, people come to visit the shrine and drink the water. You can also enjoy the scenery from behind the waterfall on a ledge in the cliff face. 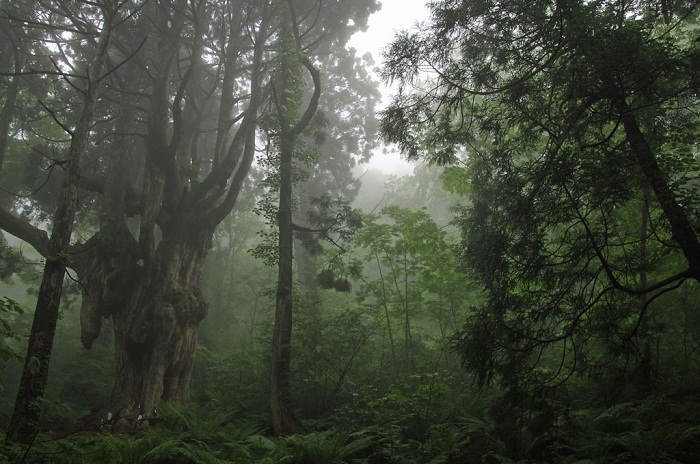 Shizen-kaiki-no-mori Forest is a natural forest area has some fantastic walking trails and nature such as an ancient Japanese cedar tree forest over 300 years old and endemic plants and animals. You can walk to the Tokage-iwa (Lizard Rock) Lookout or if you are adventurous, all the way up to the rock itself for a fantastic view. Make sure you visit the “Three Giant Japanese Cedar Trees of Oki” – all conveniently located in Dogo Island. You do not need to walk far to see these very old and impressive trees, located near the road. 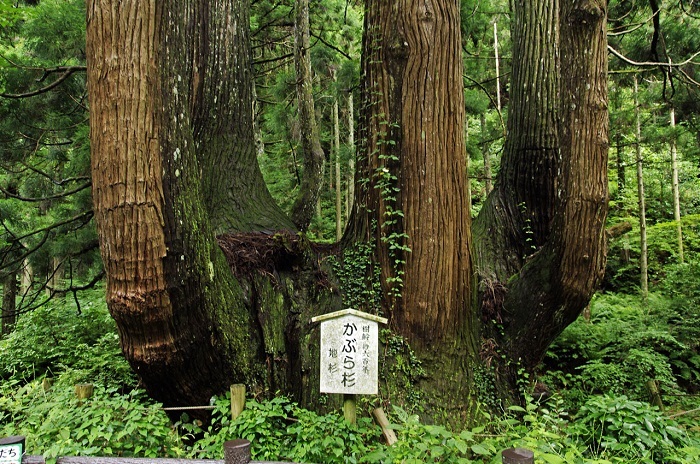 These trees (from 600 – 2000 years old) are just some of the many large cedar trees in Oki. Feel the power of nature when you encounter these giants of the forest. Chichi-sugi is also a Shinto shrine. This uniquely-shaped rock is 26m long and thought to resemble a giant lizard. The rock itself (trachyte) also has a rare composition, which is the highest quantity of alkaline of volcanic rocks in Japan. This rock is a magmatic dike which rose close to the surface but did not erupt, instead cooling within the rock. It has become exposed after the surrounding pyroclastic rock eroded away. You can see the rock from the lookout in the Shizen-kaiki-no-mori Forest in Fuse. 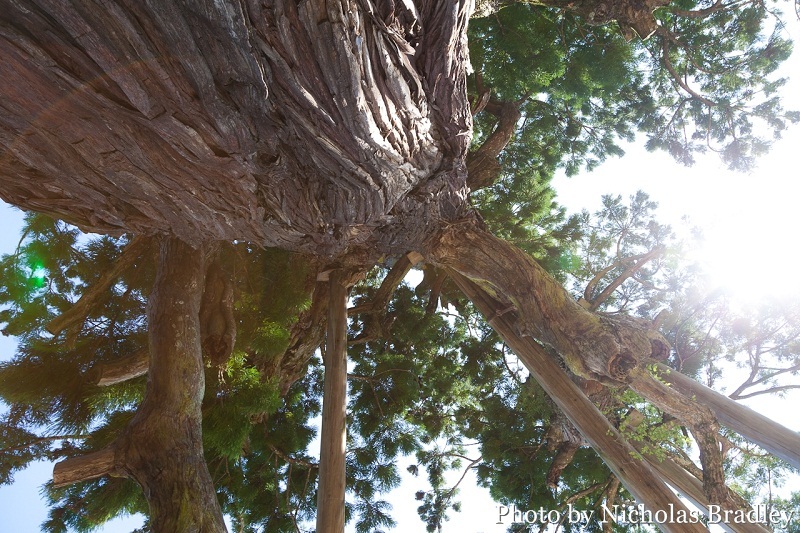 Make sure you visit the “Three Giant Japanese Cedar Trees of Oki” – all conveniently located in DogoIsland. You do not need to walk far to see these very old and impressive trees, located near the road.These trees (from 600 – 2000 years old) are just some of the many large cedar trees in Oki. Feel thepower of nature when you encounter these giants of the forest. Chichi-sugi is also a Shinto shrine. 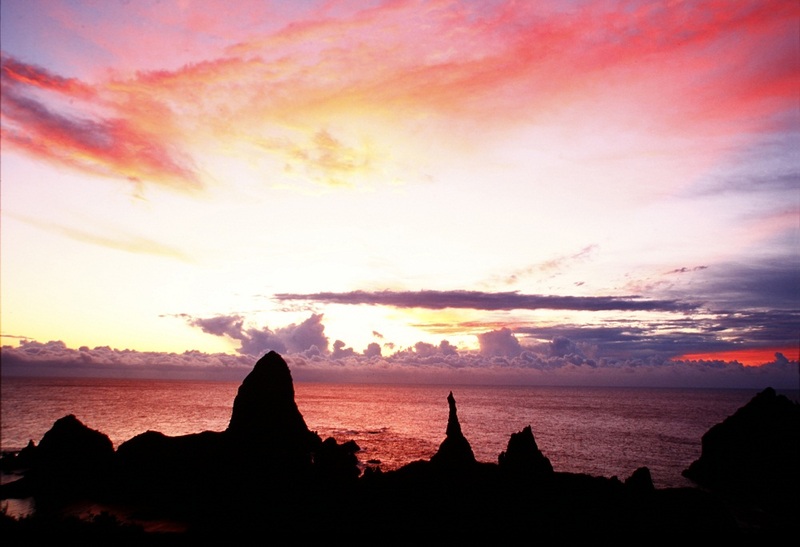 Visitors to Oki love to explore the Kuniga Coast (Nishinoshima Island). 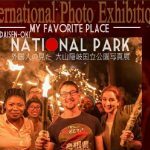 The 2.3km walking trail is part of the Daisen-Oki National Park and is a very popular route for people of all ages (60 minutes one way). Many people like to enjoy a picnic or take photos along the way. 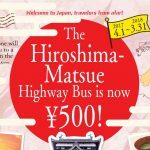 Nishinoshima Tourism Association offers local guides (paid service) for visitors who wish to walk the course with a guide. 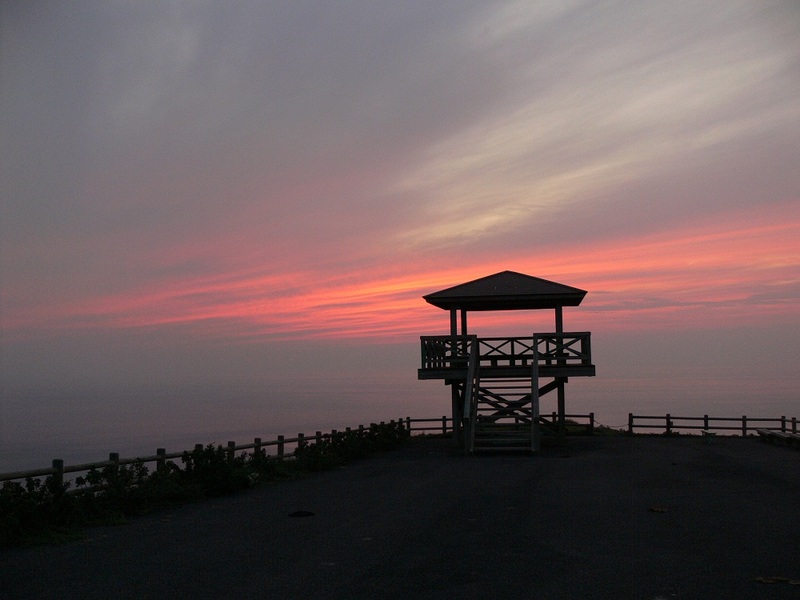 One of the “power spots” in Oki is Takuhi Shrine, located half-way up Mt. Takuhi. 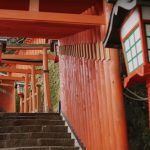 There is a short trail (20 minutes one way) to Takuhi Shrine, where hikers can take a break and have a cup of tea with the local priest. There are longer courses that take hikers to the top of the 452m mountain (60 minutes). 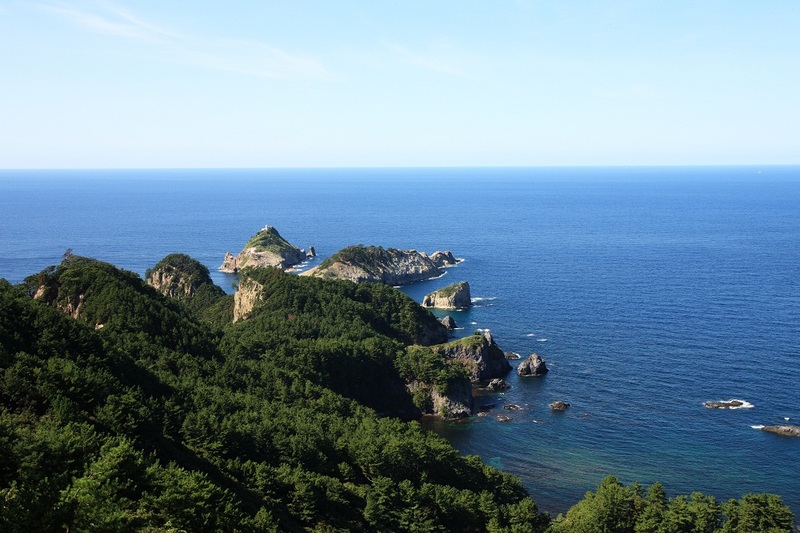 Chiburijima Island is a wonderful place to hike! Walk along quiet roads and through farmland. 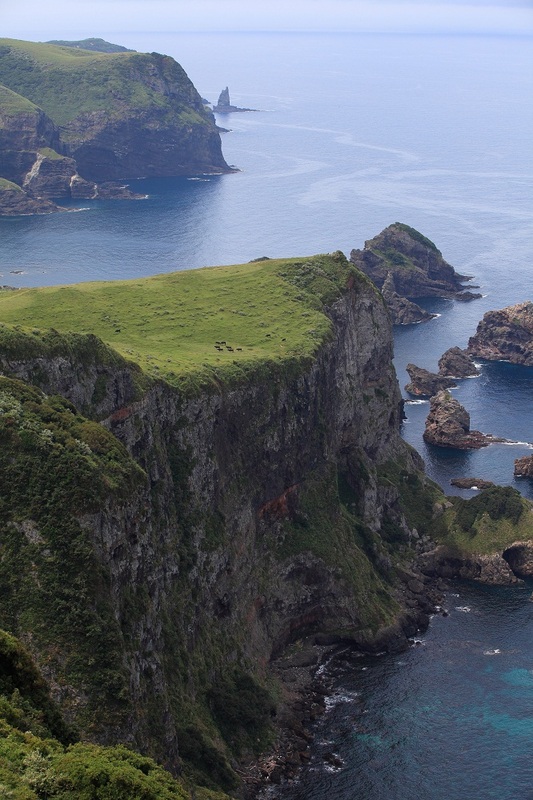 It takes 1.5 hours from Kuri Port to the impressive Sekiheki (Red Cliff) or two hours from the port to the top of Mt. Akahage, where hikers can enjoy panoramic views from the lookout station. Stroll along Akiya Coast, through rice fields or climb up Mt. Kinkoji – all on Nakanoshima Island.